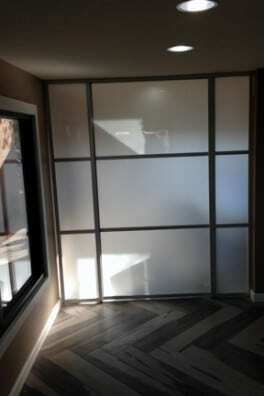 Leasing Office Renovation - CK Valenti Designs, Inc. 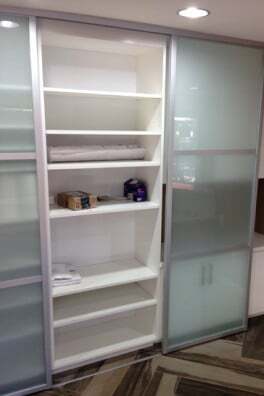 Renovation of apartment leasing office, including office space, reception desk, and sitting area. 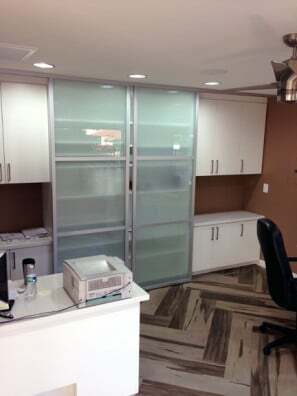 The custom office and reception desk build-outs include white melamine cabinets, pre-finished birch dovetail drawer boxes, and Rigid Thermafoil (RTF) doors and drawer fronts. 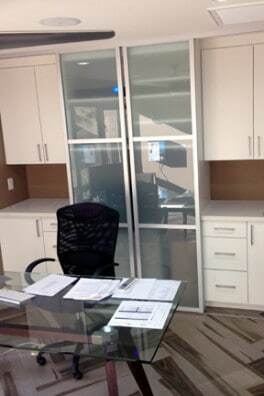 Custom sliding doors with frosted glass separate the two offices and provide coverage for the office shelving. 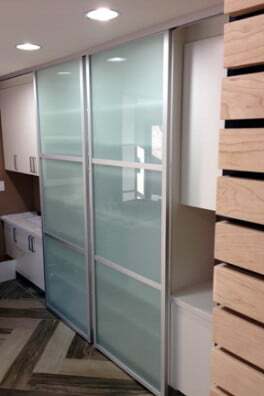 Desk and counter surfaces are solid surface quartz. 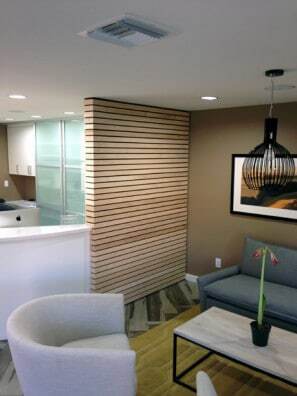 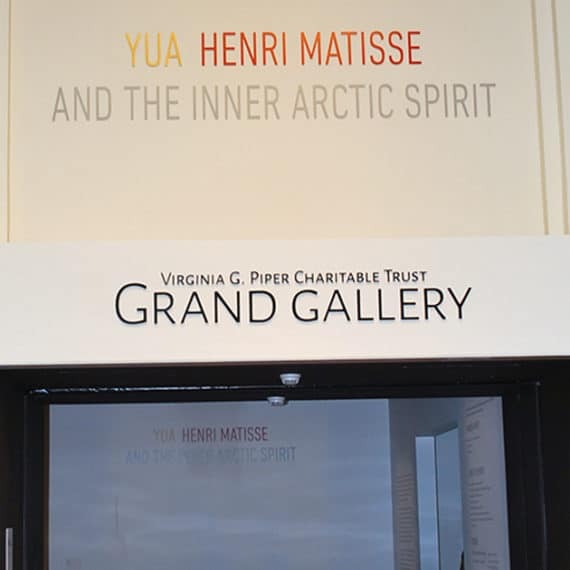 In the reception area, as an aesthetic feature, CK Valenti Designs outfitted one wall with strips of maple hardwood spaced evenly from floor to ceiling.